Parents and kids can choose from these main themes or suggest their own. 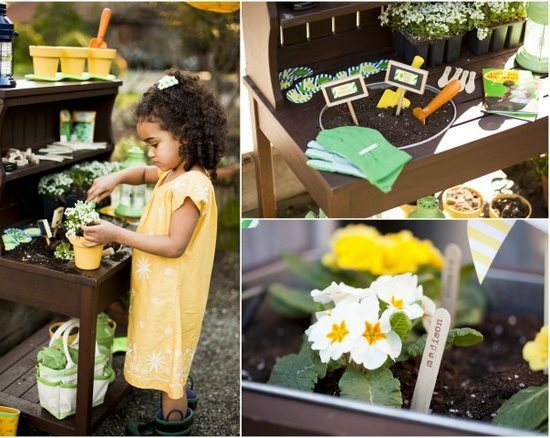 No matter which you choose, ALL kids will get to plant and take home either a house plant or an outdoor native plant. How long is each party? What are my choices of supplies ? There is a beautiful selection of pottery – ranging from inexpensive clay and plastic, to more expensive ceramic. Your choice of plants will depend on the season and space ( i.e. your backyard vs. a park ). Insect choices vary according to whether you choose to release beautiful butterflies, amazing praying mantises, or the cute, colorful ladybugs. 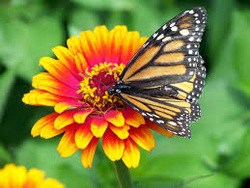 All plant and insect choices are native and beneficial to our environment. For a pickling party, you can choose from colorful carrots, crunchy cucumbers, and spices from around the world. What happens if we add an extra child at the last minute? There is no guarantee that child will be able to take home the same plants or release insects, but we will try our best to have extra supplies and make sure she is included. But there is an additional $50 per child added due to cost of supplies and staff. Why can’t I make my own themes and party combinations? If you have an idea that you would like to suggest, please do. But certain options listed are incredibly fun but also incredibly time-consuming. So we usually have two main events, one usually longer than the other- like planting for Monarchs and releasing lady bugs. In between these two main events are usually shorter games, plantings, and events that allow kids to celebrate your child and the environment. If there is something you would like to do during the party, please inform us ahead of time so we can make sure there is time allotted. No. But we have listed at the bottom of this page a list of nearby restaurants (including vegan), bakeries and pizza places that deliver. We suggest you bring some healthy snacks such as carrots, snap peas, mandarins, and other easy-to eat finger foods and drinks for the kids while they wait for the main meal and cake. There are also wonderful bakeries nearby if you would like to pick up cake or cupcakes from local places so you don’t have to schlep food very far. We suggest a more environmentally friendly option of blowing bubbles. We will provide some bubble buckets for the kids to play with and chase. We provide goody plants for the kids to take home. Usually the kids choose these on their way out. They have a choice between small indoor or outdoor plants as well as seed packets. YES! We love having more adults around! We just need to know how many are coming. Warning: We might put you to work! Also, adults don’t get goody plants. Developed by Brooklyn Geek • Brooklyn Seeds and Brooklyn Geek - Proudly in Park Slope!